Best Buy is kicking off a new sale on a whole bunch of video games this week, including Switch and 3DS. There are definitely more titles on sale for Nintendo’s console, but 3DS has a few highlights of its own. 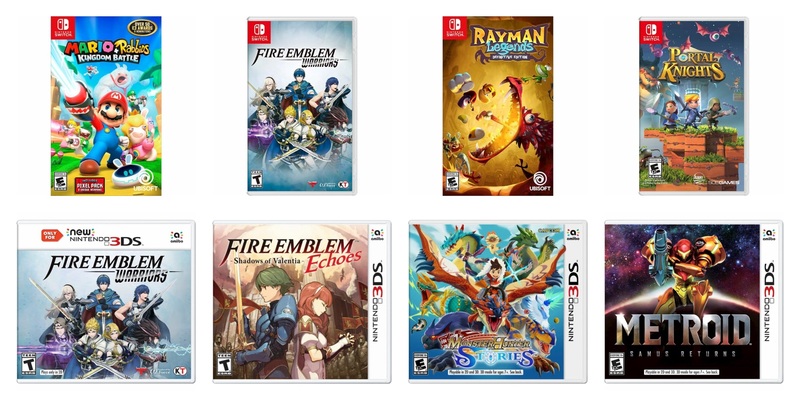 On Switch, games such as Mario + Rabbids Kingdom Battle and Fire Emblem Warriors have been discounted. On 3DS, Best Buy has put Fire Emblem Warriors, Fire Emblem Echoes, Monster Hunter Stories, and Metroid: Samus Returns on sale. You can find all of this week’s deals on Best Buy here. These offers should be valid for the next week.